Orange Capital, managed by Daniel Lewis, has initiated a new position in Nexstar Broadcasting Group Inc. (NASDAQ:NXST). A new filing with the Securities and Exchange Commission revealed Orange Capital holding 1.64 million class A shares of the company, representing 5.4% of outstanding stock. The stake is passive by nature. 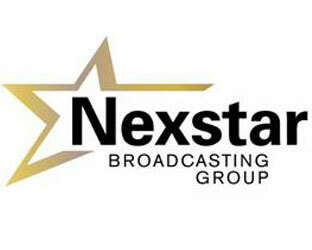 Nexstar Broadcasting Group Inc. (NASDAQ:NXST) is a diversified media company that owns, operates, programs or provides sales and other services to 74 television stations and 13 related digital multicast signals reaching 44 markets or approximately 12.1% of all U.S. television households. The company has a market cap of about $1.2 billion. Recently, the company announced that it promoted Patrick J. Cusick, CPA, to the position of vice president, controller. In addition, it promoted D. Randall Bradford, director of financial operations, to vice president of financial operations. The appointments became effective April 1, 2014. Last month, Nexstar Broadcasting Group Inc. (NASDAQ:NXST) said that it entered into a definitive agreement to acquire the assets of Internet Broadcasting Systems Inc., a digital publishing platform and digital agency services provider, for $20.0 million. Other largest shareholders of the company include Richard Barrera’s Roystone Capital Partners and Rob Butts and Josh Clark’s Southpoint Capital Advisors, holding 1.19 million and 1.18 million shares, respectively. In February 2014, Christian Leone’s Luxor Capital Group revealed initiating stake in Nexstar Broadcasting Group Inc. (NASDAQ:NXST). In January 2014, Orange Capital disclosed upping its stake in PHH Corporation (NYSE:PHH), owning 3.54 million shares of the company, equal to 6.0% of the common stock. At the end of the fourth quarter of 2013, the fund disclosed ownership of 3.36 million shares. In Strategic Hotels and Resorts Inc (NYSE:BEE), Orange Capital holds 8.30 million shares. The fund reported owning 1.02 million shares of SemGroup Corp (NYSE:SEMG).